How is the day treating you? For me so far so good... But I am excited to see what all it brings for me :) For all of you though, I am today reviewing one of my current shampoos from Jovees. Price: INR 135 for 110 ml of the product. The packaging is sturdy and the translucent plastic bottle has a flip top cap over the opening for dispensing the product. 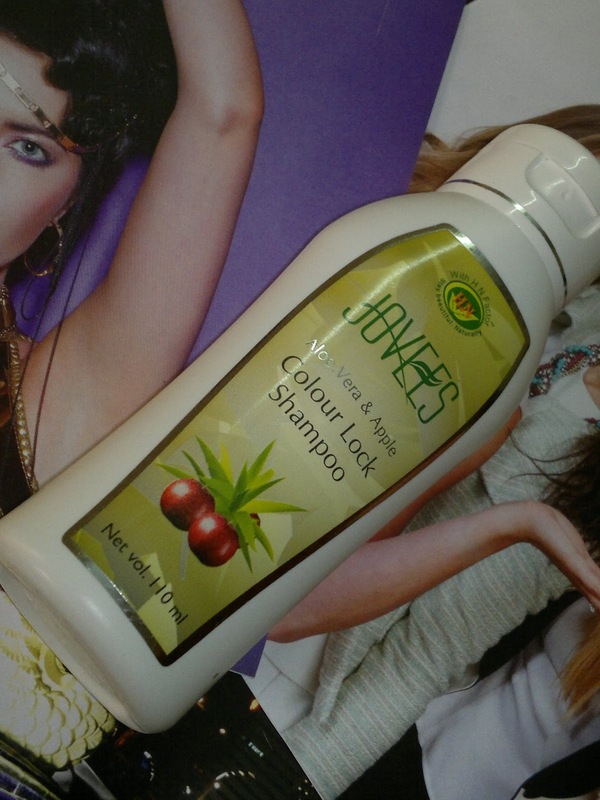 This is my first ever shampoo from Jovees and I bought this just to complete my order of INR 500 on medplusbeauty, which earned me a free clay pack from Jovees. I have been using various skin care products from Jovees but this was the first time I decided to pick a hair product. 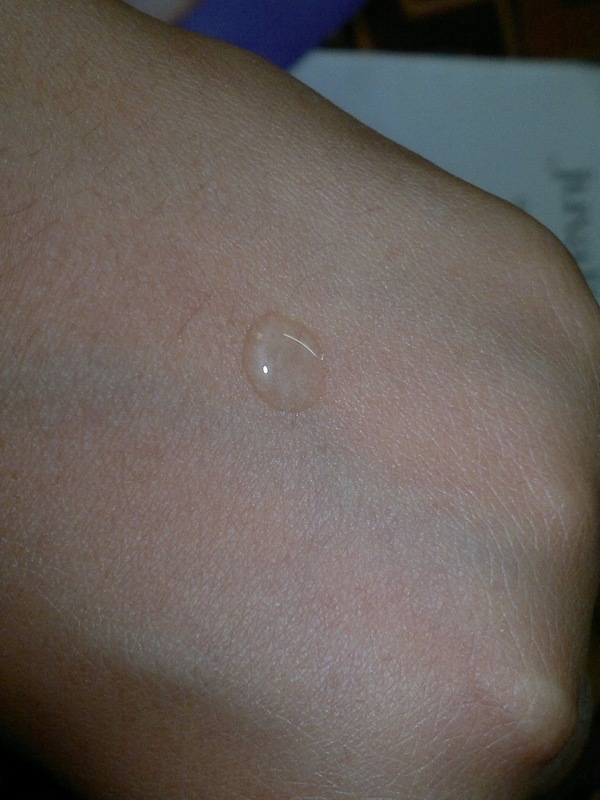 The shampoo is transparent in colour as you see from the swatch above and is mildly scented. Nothing too fancy or something which would irritate sensitive noses. 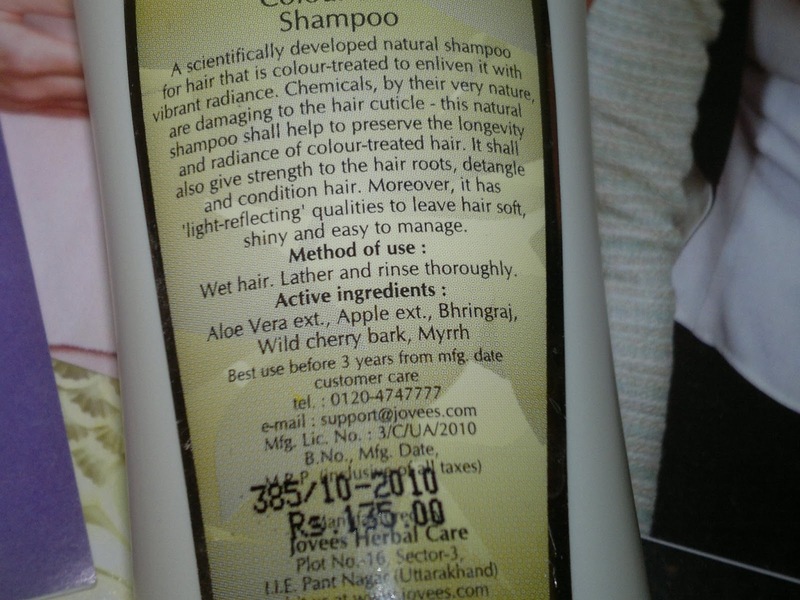 The shampoo lathers well and a 1-rupee coin sized amount is enough to wash my shoulder length hair. The shampoo removes all kinds of greasiness from my hair and leaves it soft and shiny. I don't use a conditioner during summers as I have very fine and oily hair, which just fall flat if I use one, but this shampoo doesn't de tangle them much. With this shampoo my hair fall has reduced considerably and my hair colour stays intact longer, which was one thing I didn't expect any shampoo to do so far. The oiliness of my hair also stays in control and I don't feel the need to shampoo them daily, though since this is mild it would be good for daily usage. Product rating: A, available at local grocery stores, chemists as well as on-line stores. Would definitely recommend this to one and looking for good quality hair shampoo at a decent price. Personally will definitely buy this again and again.